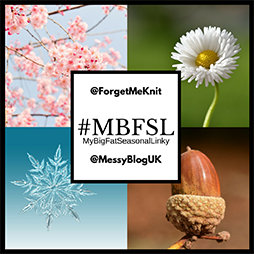 Hello and welcome to the Winter edition of #MBFSL – My Big Fat Seasonal Linky. I’ve created this linky (with the help of Sarah from Forgetmeknit) for you to share your favourite seasonal posts. My aim is to collate some of the best seasonal posts around and in doing so create a one stop shop for recipe posts, craft activities, messy/sensory play, gift guides, the latest fashions, or colours and even local event listings or reviews – all themed around Winter. We will be running the linky over a number of months and then the same for Spring and Summer etc. This one will continue right through to February so you have plenty of time to come back and add more to it. Every single post linked up here is guaranteed a comment. Each one will also receive at least one share on twitter. I will have weeks to go over them again and will try to share them again as time permits. Any that I notice to have pinable images will be pinned on pinterest too. So.. What have you got for me? I can’t wait to get reading all of your Wicked Winter posts.